TongaFootball > News > 2017 Beach Soccer League > Beach Soccer is perfectly fit for the Haápai groups! Beach Soccer has been popular in the Haápai groups eventhough it is still an infant. 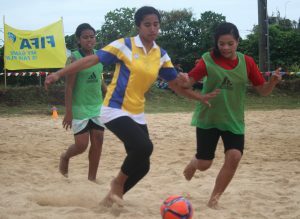 In October 2015, Beach Soccer was introduced to the Haápai groups, and the two large islands of Haápai, Lifuka and Foa grabbed this opportunity with both hands. And right now, beach soccer is like a everyday game for the youth of this Island, Haápai. The two large islands of Haápai is Lifuka and Foa, and its consist of so many sandy beaches and everyone has easily access to those beaches. Over the week-end, there were 9 senior teams, 4 women’s teams and 6 U 16 teams gathered to Fangaleóunga Beach Soccer field to kick off their Beach Soccer Major League for 2017. Dr. Tevita Vakasiuola is currently the Chairman of the Haápai Football Committee, and he attended the short official opening ceremony that took placed in Fangaleóunga Beach Soccer Field to mark the beginning of their first competition for 2017. Of course none of the players raise their hands! The Hon. Governor of Haápai, Hon. Moále Finau is one of the beach soccer supporter in Haápai, and he came all the way to Fangaleóunga to watch few games. ‘’May I have this opportunity to extend my sincere thanks to Tonga Football Association for directing Beach Soccer to develop here in Haápai, and I believe this is a great move for bringing this great sport for Haápai, and we will contribute to build beach soccer to be on top and sooner to represent Tonga to the world, ‘’ said Governor Finau. 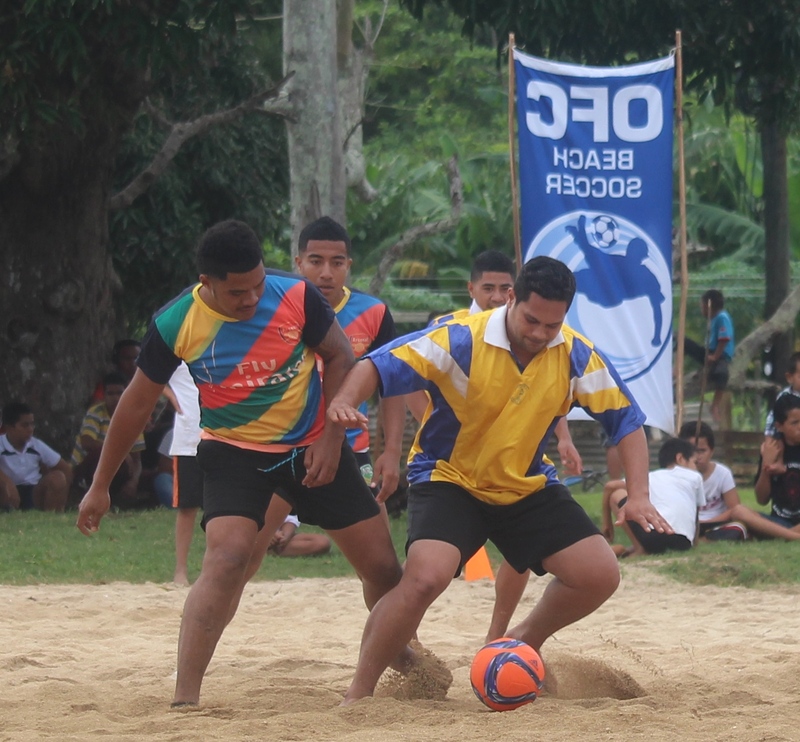 The beach soccer league for Haápai will be running for almost two and half months before their inter district competition.